The Frame: How do I take care of my 55” UHD 4K The Frame (UN55LS003AF)? Clean The Frame regularly to keep the picture looking pristine. For general cleaning of both the frame and screen of The Frame, use a soft, dry cloth. Never use cleaning fluids, wax, or chemicals. Do not use water unless the instructions that came with The Frame say otherwise. Note: Never use any type of window cleaner, soap, scouring powder, or any cleanser with solvents such as alcohol, benzene, ammonia, or paint thinner. Never use abrasive pads or paper towels. It can scratch the screen or strip the anti-glare coating off the screen and cause permanent damage. Important: To clean fingerprints and greasy smudges off your Frame screen, get a bottle of a screen cleaning solution. You should be able to get it at most regular and on-line stores. 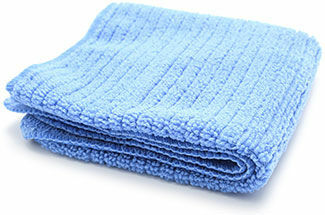 Put a small amount of cleaning solution on a soft, dry micro-fiber cloth, and then rub the screen gently. Note: There are multiple brands of screen cleaning solutions available on the market. A quick search for "TV Cleaner" on your favorite search engine should yield you several results. 1. Unplug The Frame before you begin. 2. Clean the frame with a soft, dry microfiber cloth. 3. To clean the screen, try wiping gently with a soft, dry microfiber cloth. If that doesn't work, spray the solution onto the cloth. wipe the screen with the cloth gently. The Frame screen is fragile and can be damaged if pressed too hard. Note: Never spray directly onto The Frame screen. 4. Remove the remaining moisture with a dry cloth or let the screen dry completely before you plug The Frame back in. The Frame: How do I set the clock on my 55” UHD 4K The Frame (UN55LS003AF)? The Frame: How do I customize the look of my 55” UHD 4K The Frame (UN55LS003AF)?